Today, Amazon Web Services provides a highly reliable, scalable, low-cost infrastructure platform in the cloud that powers hundreds of thousands of businesses in 190 countries around the world. With data center locations in the U.S., Europe, Singapore, and Japan, customers across all industries are taking advantage of. 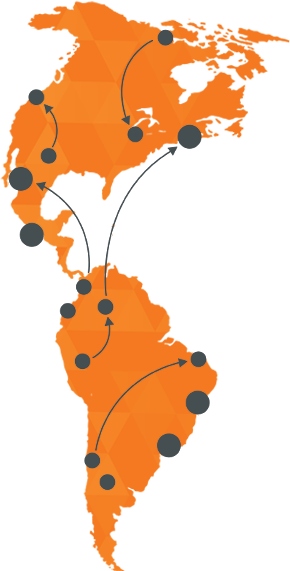 Learn more about the Lingotek Collaborative Translation Platform availability in the Amazon Web Services (AWS) GovCloud (US) Region, enabling United States government agencies and contractors to translate workloads in an open cloud environment that also complies with federal regulations and standards. Join Rob Vandenberg President and CEO of Lingotek and Mark Ryland Chief Solutions Architect of Amazon Web Services, Amazon.com to get a look at the new Amazon GovCloud and what you can do with the Lingotek Collaborative Translation Platform.